The sean nós style is an ancient way of singing Gaelic or Irish language songs. Find the song Amhran Mhuinse below beautifuly performed in sean nos. 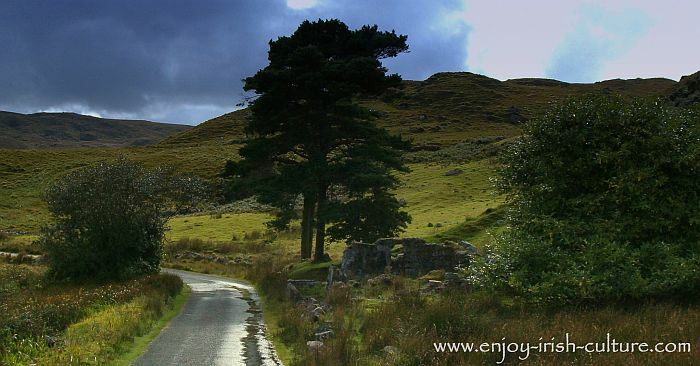 The landscape of Connemara is the setting of this traditional Irish song. The word means ‘the old style’. The style can sound quite other-worldly. Listening to this song, we think you'll agree that that Amhrán Mhuighinse is particularly haunting. Watch Sorcha Bn. Uí Chonfhaola from Connemara performing Amhrán Mhuighinse in sean nos. Amhrán Mhuighinse is one of many sean nos songs on Brian O’Rourke’s Blás Meala (A Sip From The Honeypot) collection of Irish language songs. They come complete with recordings of the songs, the lyrics in Irish and in English, and background information about the songs. Amhrán Mhuighinse was written by a woman on her death bed. The woman had been born and raised in Mhuighinse, near Carna in County Galway. When she married, she moved to a place six miles away to where her husband was from. She leaves us in no doubt of her loyalty to her husband and children, but as death approached, she asked the family to bury her in Mhuighinse where she was from, she specified how she wanted to be laid out, and made arrangements for her coffin to be brought there by boat. 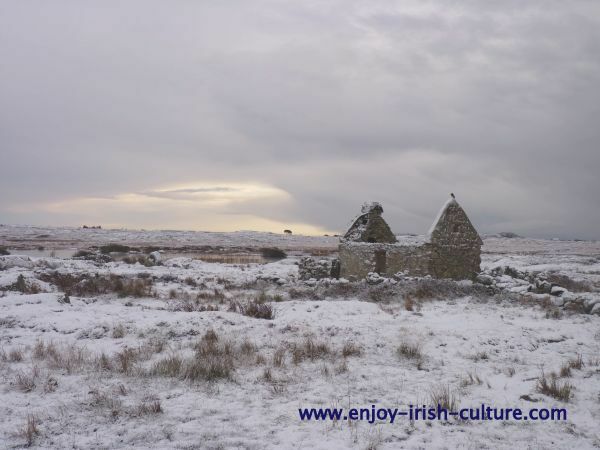 A Connemara landscape in winter, evoking the feelings described in the song. You can listen to Amhrán Mhuighinse in the English language here, performed by Brian O'Rourke. Many people will find talking about death a difficult and uncomfortable topic. In the Irish culture however, death is seen as a natural part of life. There are strong and beautiful rituals around funerals, traditions that have survived to this day. For this lady to talk freely about her wishes upon her death and letting her own grief ring through at being taken from this planet too early in this song she composed (she was only about sixty years of age), is quite natural and not in any way contrived. The lyrics of this sean nos song bring these traditions to life; the smoking of the clay pipes, the keening women. About Brian O'Rourke who writes modern songs in the traditional style, about the history of singing sessions of Irish songs, about the etiquette at singing sessions, and about the different types of traditional song, examples of pub songs, find Amhrán Mhuighinse lyrics here. The saddest part of the story? Local history has it that the woman never made it back to Mhuighinse after all. The weather was so bad for the three days after she died that no boat could take sail. She had to be buried with her husband’s family in the end. 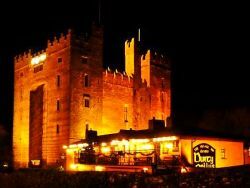 The song is performed here by a powerful singer from Connemara, Sorcha Bn. Uí Chonfhaola recorded, transscribed and translated by Brian O’Rourke.